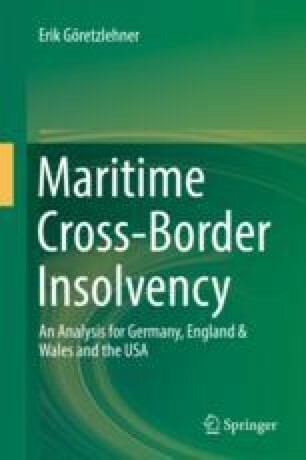 The two previous chapters show that the insolvency laws as well as the maritime laws of Germany, England & Wales and the USA do not fall widely apart, but even minor differences can cause confusion and uncertainty for both practitioners and academics. Especially the treatment of the insolvent debtor, the restructuring tools available, and the legal theories behind the maritime security right of maritime lien are the main sources of legal conflict. Many harmonisation efforts have been enacted to reconcile these differences. In the context of international insolvency, the EU Insolvency Regulation and the UNCITRAL Model Law on Cross-Border Insolvency are the most effective and pragmatic harmonisation instruments. Such clear guidelines and regulations are still missing for stipulations on maritime liens and the conflict of laws that these liens are causing. It became evident in the previous chapter that the single state’s catalogues of maritime claims, which are secured by the security interest of maritime liens, are very different and the acceptance and recognition of foreign maritime liens in domestic proceedings varies strongly, with England & Wales taking the most restrictive and the USA the most ship-creditor friendly approach.